For those that already cleaned the last dungeon, found or crafted the best loot possible in Guardians of Ember, the Horde mode is the place to go next. With a group of four fearless friends, players face waves of monsters whose sole purpose is to destroy the ember crystal. Once destroyed or if all players have been killed, the match is lost, but those that stand their ground will gain honor points that can be cashed in at traders for high-end items. 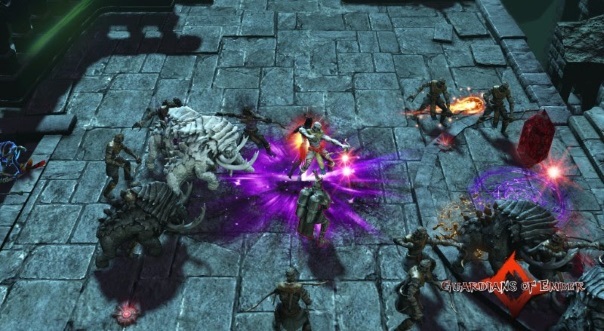 To balance any level difference between the participating players ranging from level 10 to 58, the Horde Mode raises health, damage and armor to a maximum for all players. InselGames celebrates the launch of the Horde Mode with a one-week long 50% discount on the Demigod Edition, which offers exclusive content.